Nga Lee "Sally" Ng and Younan Xia, faculty members in Georgia Tech’s School of Chemical & Biomolecular Engineering, are among the world’s most Highly Cited Researchers in the sciences and social sciences, according to the new Clarivate Analytics list published online this month. Both made the list in 2017 as well. Highly Cited Researchers are selected for their exceptional research performance, determined by production of multiple highly cited papers that rank in the top 1% by citations for field and year in Web of Science. The 2018 Clarivate list selects scientists and social scientists for their success in one or more of 21 fields (those used in Essential Science Indicators (ESI) or across several fields. Approximately 6,000 researchers are named Highly Cited Researchers in 2018 — some 4,000 in specific fields and about 2,000 for Cross-Field performance.This is the first year that researchers with Cross-Field impact are identified. For the 2018 Highly Cited Researchers analysis, the papers surveyed were those published and cited during 2006-2016 and which at the end of 2016 ranked in the top 1 percent by citations for their ESI field and year (the definition of a highly cited paper). 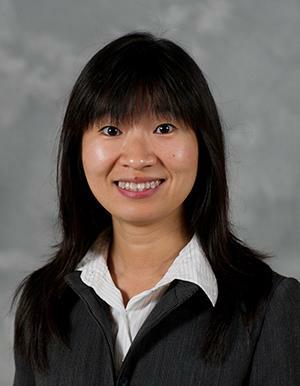 Ng, an associate professor, studies aerosol chemistry, air quality, and health effects. Her research focuses on both laboratory experiments and field measurements to understand the formation and evolution of atmospheric nanoparticles (aerosols). Xia, a professor in the School of Chemistry & Biochemistry, holds the Brock Family Chair and is a GRA Eminent Scholar in Nanomedicine. He studies nanocrystal synthesis, nanomedicine, structure-property relationship of shape-controlled nanocrystals, and catalysis. He holds a joint appointment in the School of Chemical & Biomolecular Engineering.